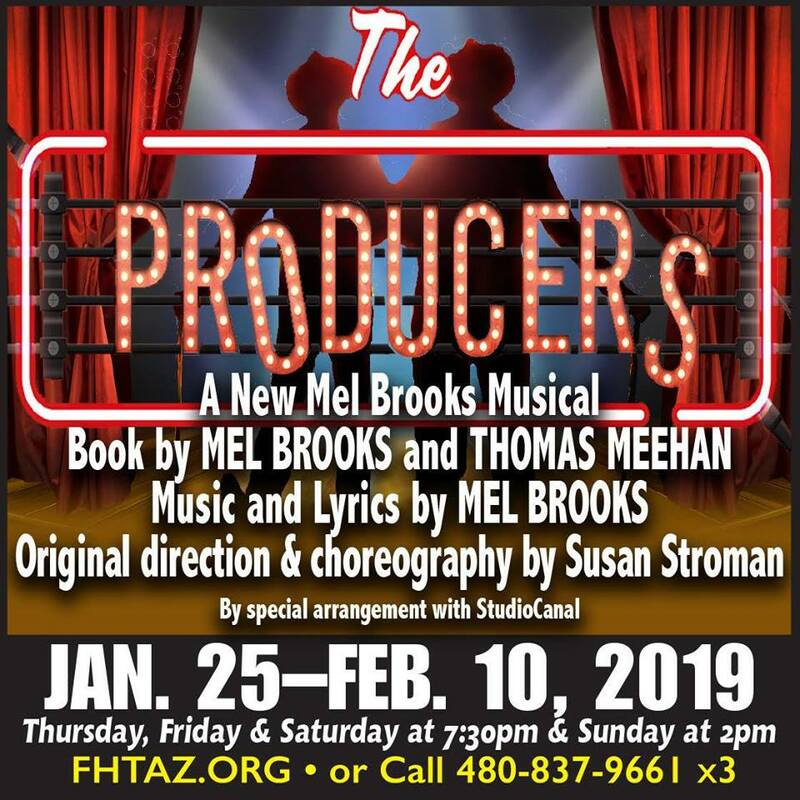 I just had the opportunity to see Fountain Hills Theater’s production of Mel Brooks’ Broadway hit, The Producers. This was a reunion of sorts, the second time around. 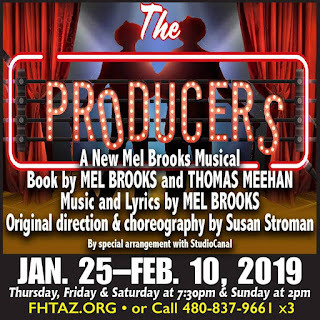 Fountain Hills has done this one before, and they brought it back with three of the original showstoppers, including Scott Hyder as Max Bialystock. I saw it before, and I saw it this time—because I wanted my kids to experience it. More on that later. But the show is a must-see, a brave piece of Art, racy and raunchy and timely and true. New dates have been added. Go now. Before I get all review-ish on you, let me tell you my theatric credentials. None. I am a writer, though. Like a real one. And I saw Hamilton on tour. I see a few plays a year. I used to live in Manhattan where I frequently got discounted tickets at the TKTS box office that used to be in the World Trade Center—and I’m comforted by knowing that it was actually closed on September 11. That’s it. I am, however, and this is a biggie in connection to The Producers, a believer in the power of the Arts. First, this is Mel Brooks. Can you believe that Mel is ninety-two? I can’t either. I think an underlying fact needs to be known as one ponders The Producers. His family—his immediate family—consisted of Jewish people from Germany and Kiev, people stung bitterly by Hitler. This is a kind of pain that never goes away. Not ever. Brooks’ musical begs a question. What does one do with the pain? It begs another question: How does one deal with the hate? So let me suggest this, cautiously. The cliché is true, and laughter is the best medicine. This is—quite honestly—a kind of revenge. Turn Hitler into a joke. 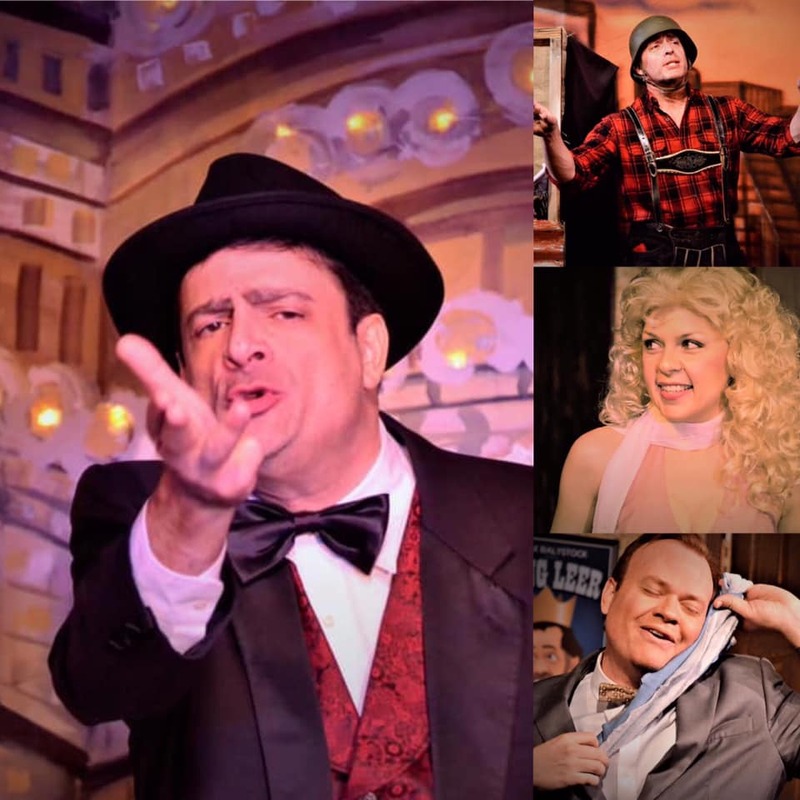 In this whip-smart script, Brooks has champions of Hitler sing rousing songs, lead actors don Swastikas, and tiny weird mustaches fill the stage. In 2019—under the shadow of anti-Semitism on streets and shootings in churches and violence in Charlottesville—it seems like Brooks might be edging pretty close to the line. I have to admit it: I got a little nervous when Bialystock and Bloom put on those armbands . . . But I went with it. And I watched. And I listened. Here is a triumph. Turning a madman into an absurdity. Still, The Producers balances upon a delicate line in a #metoo-age. I would argue that good Art is subversive and risky. Good Art flirts with danger. And, yes, I took my children. You may or may not want to do this. My kids have a writer-mom, who frequently philosophizes on Art and Its Horrors. Plus, I cuss a lot and love Jewish humor. So we dealt with it as a family. I’m not providing a plot summary, but let me sing the praises of this fabulous cast (all of them!) and terrific production (what a set!). With Scott Hyder as Max Bialystock (the best!) and Michael C. Stewart as Leo Bloom, the audience is assured of a good time. Erin Ryan’s Ulla is adorable. Matt McDonald returns as the writer of the Nazi-loving production—and he’s still fabulous. And Roger (played by Patrick Russo) and Carmen (played by Stephan Linder) shine on stage. Oh, but I loved Bloom and his blankie (he’s reprising the role, as is Hyder). Scott Hyder is amazing. I found his timing, humor, and presence so top-notch. At one point, he “breaks the fourth wall,” and subtly tells the audience that he knows that they’re thinking that Nathan Lane played Bialystock better. I—theatre-happy, Brooks-charged—might beg to differ. Hyder obviously gets the power of this fine piece of Art. Fountain Hills Theater has put on a brave production.